At an event this Monday, Israeli journalist Tal Heinrich spoke to TorchPAC about the media’s editorial process on issues, including the Israeli-Palestinian conflict. 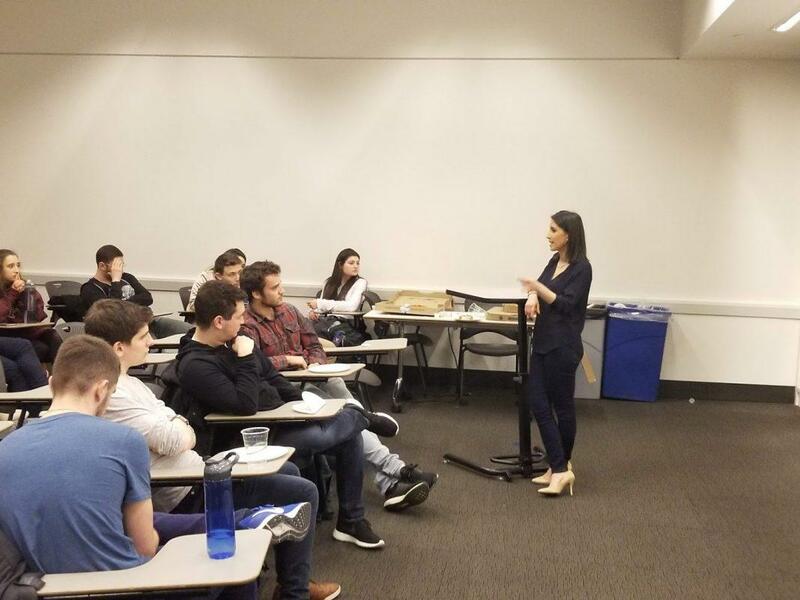 Israeli i24NEWS anchor and CNN International freelancer Tal Heinrich spoke to TorchPAC about international media coverage of Israel. Israeli i24NEWS anchor and CNN International freelancer Tal Heinrich spoke to TorchPAC about the biases she claims exist in international media coverage on Monday. Around 25 students attended the event. “Israeli audiences very often view the coverage of Israel by international media outlets as pure bias,” Heinrich said. Heinrich spoke about coverage on the Israeli-Palestinian conflict. The conflict has embroiled the Middle East for decades, with debates over the viability of a two-state or a one-state solution. According to Vox, U.S. media coverage of Israel offers greater credence to the Israeli viewpoint, contrary to Heinrich’s views. More recently, the media has made more of an effort to include Palestinian perspectives in the Israel-Gaza crisis. According to Heinrich, issues appear different to international reporters covering Israel compared to those in the country who have an understanding of the long-term developments and the history behind the issue. Due to the sensitive nature of the Israeli-Palestinian conflict, Heinrich said international media takes certain measures in an attempt to provide an unbiased view. She discussed how publications such as the BBC and the German ZDF try to use sources that are independent from Israeli claims and translations. Heinrich said using such sources, combined with rigorous fact-checking methods — which she approves of — can lead to vague statements that don’t fully capture the reality of the event. “[The international media] will go to the highest resolution of a sentence in which they know every detail is confirmed,” Heinrich said. While some media outlets are considered biased against Israel, and others biased against Palestine, Heinrich said the major difference between coverage done by Israeli and international reporters is in the terminology and translations used, as well as a difference in cultural understanding. WSN reached out to the student groups Students for Justice in Palestine and Jewish Voices for Peace, as well as individual members within the groups, to offer perspective on Heinrich’s talk, but they did not respond in time for publication. CAS sophomore and TorchPAC President Matthew Weinstein said he hopes TorchPAC continues to host these kinds of discussions.